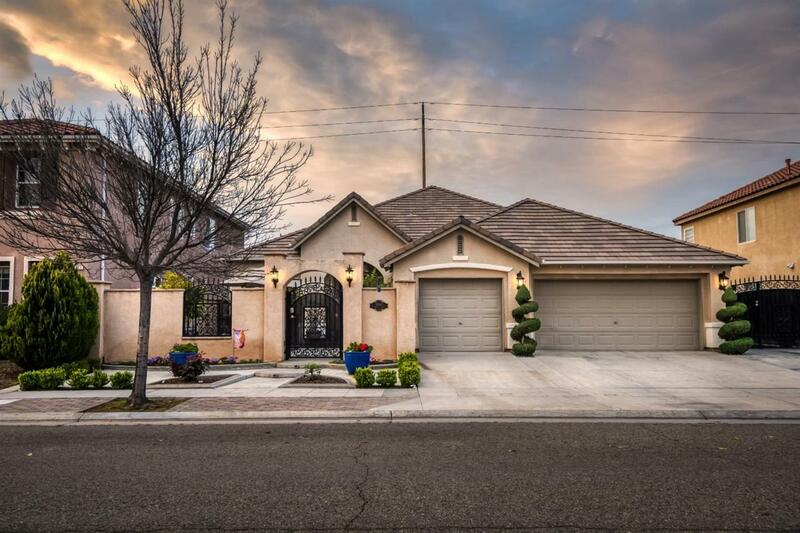 This Wathen-Castanos home is perfect for a growing family. Enjoy a private courtyard with a beautiful fountain, as you are welcomed into the home. As you enter the home you are greeted with a formal dining room, and home office. The kitchen provides ample granite counter space, and storage. The backyard supplies a spacious, low maintenance, entertainment space or relaxing area. A large RV parking area, tangent to the home, is secured by decorative wrought iron gates. Store your outdoor activities gear in the spacious three car garage, fully finished with epoxy floors. Located in the desireable Clovis North School District. Listing provided courtesy of Scott Farrow of Iron Key Real Estate.